Himachal Fantasy Tour, spanning in 11 nights and 12 days is going to be a perfect option for you if you want to explore the best of this Indian state. During the tour, you are going to visit the hill towns of Dharamshala, Manali and Shimla along with cities like Delhi as well as Chandigarh. The highlights of the itinerary are adventure activities at the popular points like Rohtang Pass, Solang Valley and Kufri. Once you reach the Delhi airport or railway station, get transferred to your hotel. After lunch, leave for sightseeing of Delhi. You will cover the major attractions like Red Fort, Chandni Chowk, President house etc, as per the time limitation. Stay overnight in the hotel. 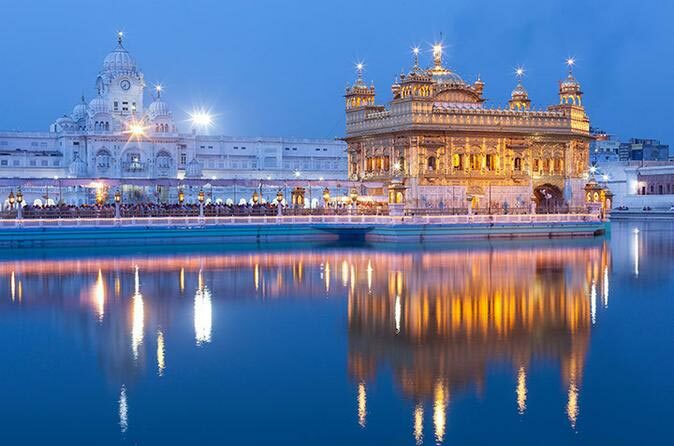 On the second day, get transferred to the railway station to go on-board a train for Amritsar. Once you arrive in Amritsar, move to your hotel. After lunch, you are going to visit the local attractions. 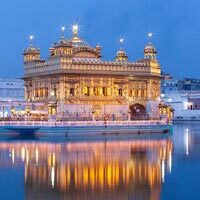 First is visit to the Golden Temple, the world- famous Sikh pilgrim, Jallianwala Bagh and the local bazaar. Stay overnight. After having your breakfast, hit the road to leave for Dharamshala. This beautiful hill town surrounded by dense coniferous forest is a place where His Holiness, Dalai Lama lives in exile. Once you reach Dharamshala, move to the hotel. The day is free for leisure activities. Try your hand in doing activities such as rock climbing, trekking or fishing. Stay overnight. Have your breakfast on Day 4 and proceed for sightseeing in Dharamshala. You will cover attractions like such as the Church of St. John, the Tibetan Medical Center, as well as the local monasteries of the region. The evening is free for visiting the local market of Dharamshala that has shops selling Tibetan carpets, wooden items, Handicrafts and much more. Shop for souvenirs from here. Stay overnight. In the morning have your breakfast and hit the road to begin your journey towards Manali. The whole route is going to be filled with picturesque scenery of Himachal Pradesh. Manali is one of the most beautiful and an extremely well-known tourist destination of India. Evening arrival. Get transferred to your hotel. If time and energy permits, you can take a stroll around. Retire to your room for overnight. Day 6 after breakfast is fixed for sightseeing in Manali. You are going to cover an old Manali village, the popular ancient Hadimba Temple and any of the three famous Tibetan monasteries. The evening is free to enjoy leisure activities in the hotel premises. Stay overnight. Day 7 of the tour is going to be filled with lots of adventure activities. Enjoy a day’s excursion to Kothi Gorge, Gulaba, Marhi, Solang valley and Rohtang Pass (The limit is a visit up to Snow Line if Rohtang is closed due to snow fall). Indulge in zorbing, para-gliding, trekking, hiking etc. Stay overnight in Manali. After breakfast, get an on-road transfer to Shimla, a very well-known holiday destination and the Summer Capital of the country during the British Raj. On the way, halt at the famous Kullu Shawl Industry. Once you reach Shimla, get transferred to your hotel. If you want then you can enjoy a leisure walk around your hotel. Overnight stay. The morning is free for leisure activities. Have your lunch, and proceed for a half - day tour of Shimla where you will cover the ancient Jakhu temple dedicated to Lord Hanuman, Indian Institute of Advanced Studies and Sankat Mochan Temple. In the evening, walk up to the Mall road to indulge in shopping. This road along with The Ridge is the major centre of activity. Stay overnight. Day 10 of the tour is fixed for a trip to Chail-an exotic hill town famous for its beauty, Kufri-here you can try your hand in adventure activities like tobogganing, skiing, hiking and Naldehra- explore the popular golf courses here. The day is going to be amazing and action-packed. Stay overnight in Shimla. Have your breakfast and leave for Chandigarh by road. Once you reach Chandigarh. Move to your hotel. After lunch, leave for sightseeing, the first (post independence) and best-planned city in the country. You are going to cover the major attractions like Rock Garden and Rose Garden. Enjoy boat riding onSukhna Lake. Stay overnight. Spend the morning at leisure, enjoy the lovely weather of the city. After lunch, begin your road journey for Delhi. After reaching Delhi, get transported to the airport or the railway station for your onward destination journey.